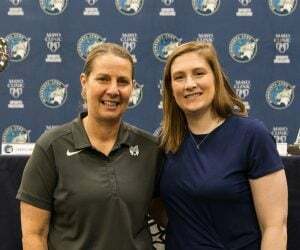 It’s playoff time, Lynx fans! 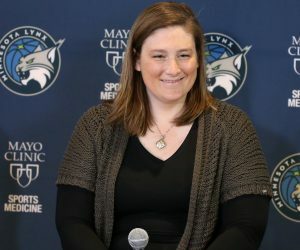 The top-seeded Minnesota Lynx open up the 2017 WNBA Playoffs Presented by Verizon on Tuesday night against the sixth-seeded Washington Mystics. The game will be the first at Williams Arena this season. Williams Arena is the home for the Lynx during postseason play. Tuesday’s contest will be the first-ever playoff game between Minnesota and Washington. 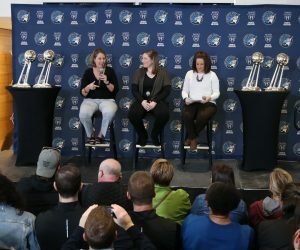 During the regular season, the Lynx held a record of 15-2 in front of their home crowd. The Mystics were 7-10 on the road. Tuesday’s game is Minnesota’s first of the postseason after finishing with a 27-7 regular season record. Washington is coming off of an 82-68 win over the third-seeded New York Liberty on Sunday in New York. Kristi Toliver went off for 32 points, including making a WNBA playoff record nine threes, to lead the Mystics. Elena Delle Donne had 18 points and 10 rebounds and Krystal Thomas added 11 points and six rebounds. Minnesota sweep Washington 3-0 during the regular season this year. 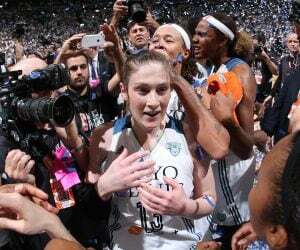 The last matchup came on Sept. 3 in the regular season finale, with the Lynx winning 86-72 in St. Paul. 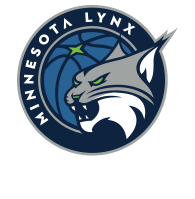 In that game, Maya Moore had 26 points and three steals and Renee Montgomery had 18 points and three assists to lead the Lynx. Plenette Pierson had 11 points and five rebounds off the bench, Rebekkah Brunson had 10 points and seven rebounds, Seimone Augustus had eight points and five rebounds and Sylvia Fowles had five points, eight rebounds and five assists. For the Mystics, Toliver had 20 points and three assists and Delle Donne had 12 points. Asia Taylor had 10 points and three rebounds, Ivory Latta had nine points and Emma Meesseman added seven points and four rebounds. One matchup to watch out for in Tuesday’s game will come at the point guard position between Minnesota’s Lindsay Whalen and Washington’s Kristi Toliver. Whalen is returning to action for the first time since going down with a left hand injury in early August. In 22 games during the regular season, she averaged eight points, 4.1 assists and 2.5 rebounds per game. Toliver is coming off of an incredible performance in the second round of the playoffs for the Mystics. During the regular season, she averaged 11.9 points, 3.4 assists and two rebounds. In the playoffs, she is averaging 24 points, 3.5 rebounds and two assists.